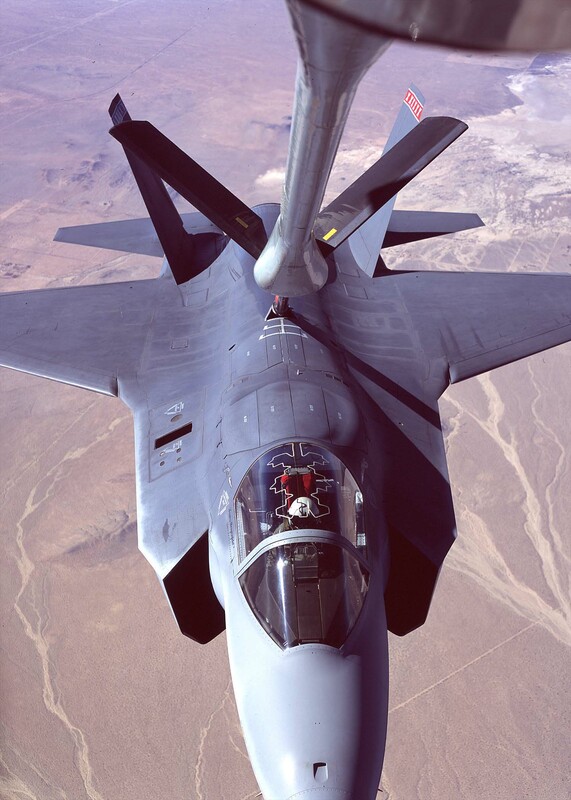 Lt. Col. Paul Smith holds the X-35A Joint Strike Fighter steady in behind a 418th Flight Test Squadron KC-135 tanker during the X-35A's first refueling mission. (Photo by Judson Brohmer) Click image to enlarge. The X-35 was an experimental aircraft developed by Lockheed Martin for the Joint Strike Fighter Program. It was declared the winner over the Boeing X-32 on 26 October 2001 and went on to enter production in the early 21st century as the F-35 Lightning II. 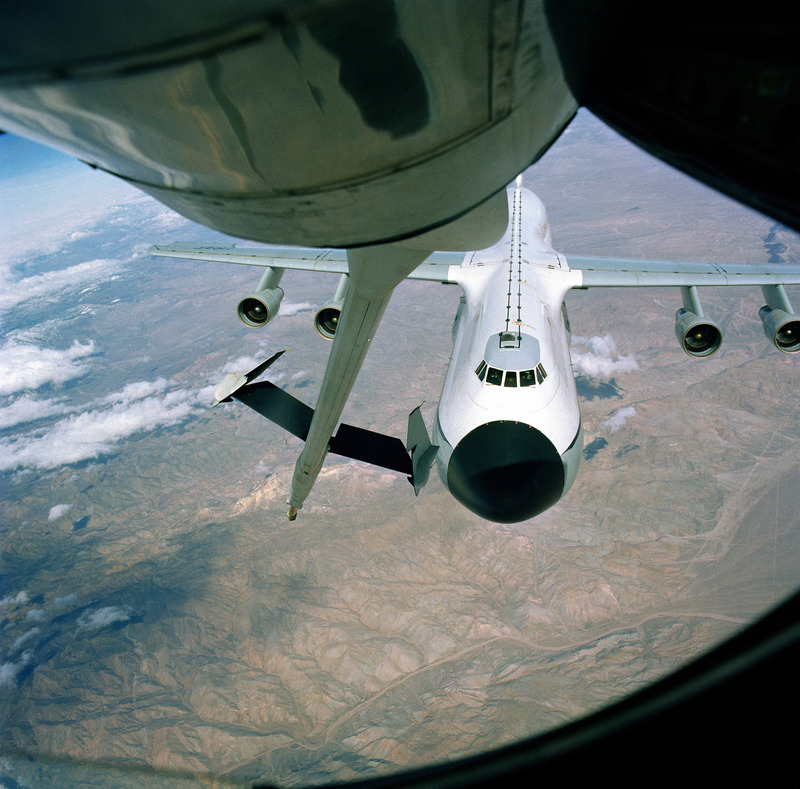 The ability of the X-35 to conduct air refueling was crucial for the accelerated test program to remain on schedule. Without the ability to receive fuel in flight the aircraft would be forced to hot pit frequently which would waste valuable time. This photograph was taken in the Edwards Air Force Base test range on 7 November 2000.